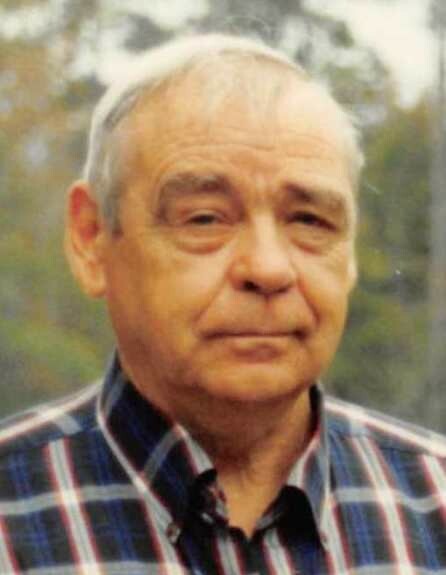 Sylacauga, AL - Funeral service for Johnny Goldson Varner, 87, will be Thursday, February 7, 2019 at 1:00 p.m. at Radney-Smith Chapel with Bro. Joe Camp officiating. Burial will be in Evergreen Cemetery in Sylacauga, Alabama. Mr. Varner retired from Kimberly-Clark after thirty-five years. Mr. Varner was a veteran, serving in the United States Air Force during the Korean War, reaching the rank of corporal. Mr. Varner died Saturday, February 2, 2019. He was preceded in death by his father, John E. Varner, mother, Cora Burks Varner, wife, Mary Bradley Varner, brothers, Clarence Varner, Kenneth Varner, Gene Varner, and Elmo Varner, and sisters, Edna Bonnett and Ellen Ruth Faulkner. He is survived by his wife, LaVerne Price Varner, daughter, Arista Varner (James Kenneth) Scott, son, Rod Varner, stepdaughter, Lynda Moss (Waymon) Johnson, stepson, David (Judy) Moss, seven grandchildren, three great-grandchildren, and multiple nieces and nephews. Visitation will be Wednesday, February 6th, 2019 at Radney-Smith Funeral Home, from 5:00 p.m. until 8:00 p.m.
Pallbearers will be Caleb Scott, Luke Scott, Matthew Guy, Randy Pearce, Mike Pearce, and Paul Pearce.